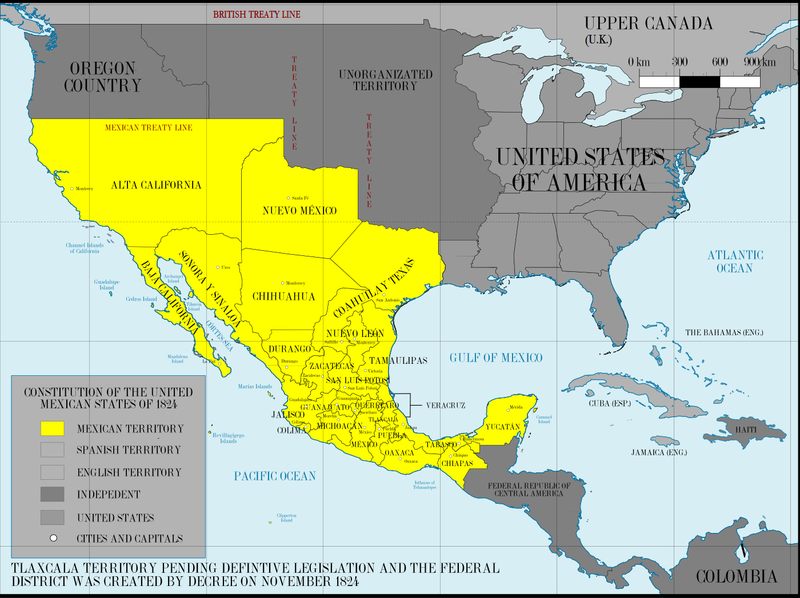 Map of Mexico prior to the treaty. Find this and a digital copy of the signed treaty at the Library of Congress. 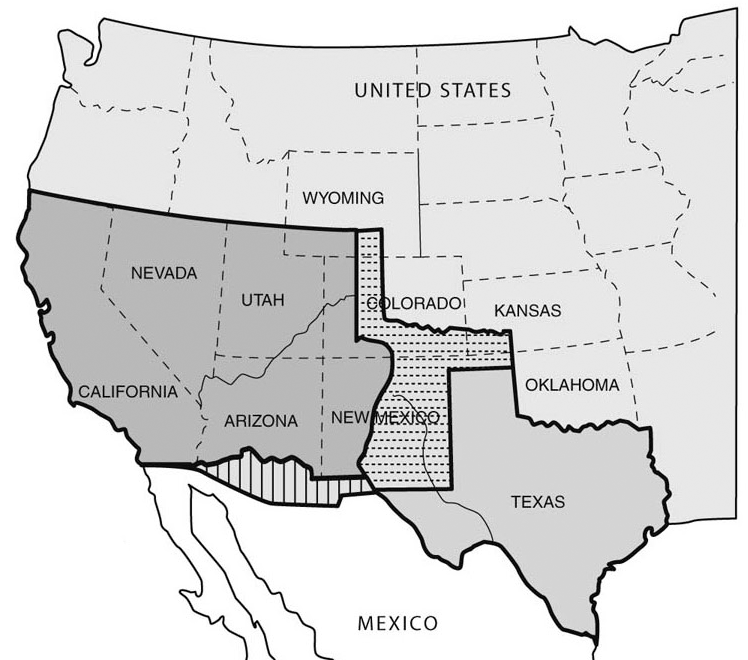 The Treaty of Guadalupe Hidalgo was signed on Feb. 2, 1848, ending the U.S. Mexico War and extending the boundaries of the United States west to the Pacific Ocean. The war was an invasion and occupation of Mexico by the U.S.—in fact, the official name for the U.S. Army was the Army of Occupation. 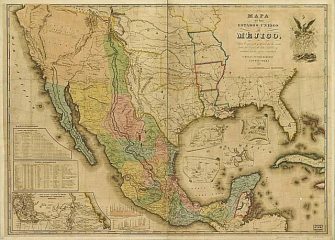 Grasping some of the motives for that war and some of its immediate effects begins to provide students the kind of historical context that is crucial for thinking intelligently about the border that separates the United States and Mexico. It also gives students insights into the justifications for and costs of war today. Most Mexicans know that the war against Mexico was another chapter in U.S. imperialism—a “North American invasion,” as it’s commemorated in a huge memorial in Mexico City’s Chapultepec Park. The Zinn Education Project offers a free downloadable lesson from Rethinking Schools by Bill Bigelow for teaching outside the textbook about the war, with a reading by Howard Zinn. The lesson, ‘U.S. Mexico War: “We Take Nothing by Conquest, Thank God”’ is a mixer role play that includes Frederick Douglass, Henry David Thoreau, the Saint Patrick’s Battalion, and more key people and organizations from the period. Teaching Activity. Lesson by Bill Bigelow and student reading by Howard Zinn. 21 pages. Interactive activity introduces students to the history and often untold story of the U.S.-Mexico War. Roles available in Spanish. Article. By Bill Bigelow. If We Knew Our History Series. 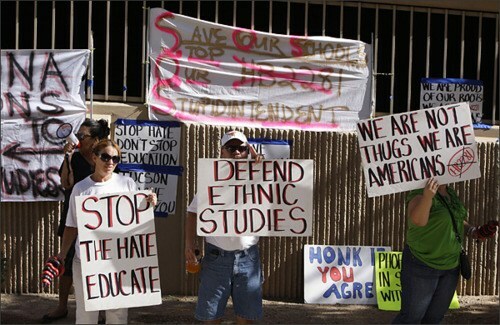 Few people in this country know the sordid truth about the long history of U.S. warfare against, and exploitation of, Mexico — and by banning the successful Mexican American Studies program, the Tucson, Arizona school board wants to keep it that way. Background Reading (PDF) and Song. Reading by Milton Meltzer and song by David Rovics. 1974. 4 pages and 5 min. The story of the San Patricio Battalion, Irish-American soldiers who deserted the U.S. Army during the U.S.-Mexican War and fought on the side of the Mexicans. Film. Directed by Eduardo López & Peter Getzels. 2012. 90 min. 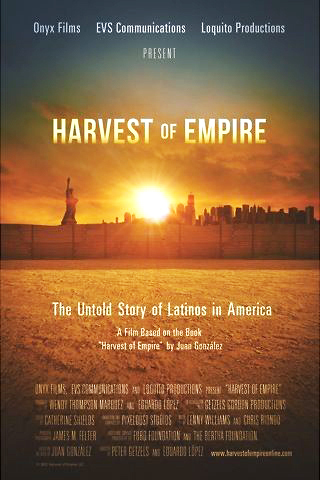 Documentary that examines the direct connection between the long history of U.S. intervention in Latin America and the immigration crisis we face today. Audio. 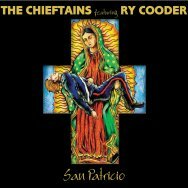 By The Chieftains featuring Ry Cooder. 2010. 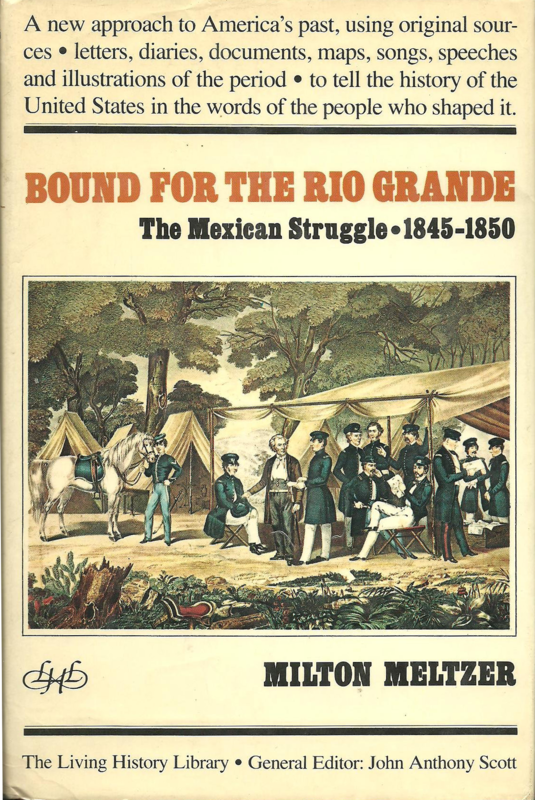 Ballads about the San Patricio Battalion during the U.S. Mexico War. Today’s border with Mexico is the product of invasion and war. Grasping some of the motives for that war and some of its immediate effects begins to provide students the kind of historical context that is crucial for thinking about the line that separates the United States and Mexico. 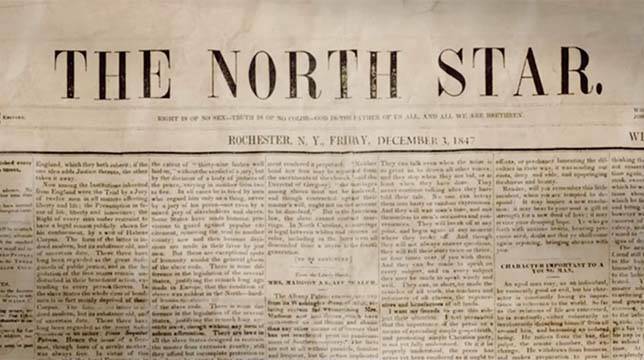 The North Star published an editorial against the U.S. war with Mexico. Listen to an excerpt read by Benjamin Bratt.